Hand not seen another report of these in the wild so I thought I'd post. Saw this while taking advantage of the 2 for 4$ minifig deal today. Could not find a price... the lego section was in a bit of disarray and had the 15mo boy with me... I am lucky I got this. Bet it's already gone! The stock of Man-Bats I posted were gone the very next day. Tis the season! Des Peres lego store has the new friends and Disney princesses in. Also the creator 3 in 1 are in stock. I have seen the Friends beach house and juice bar at two different Walmarts in the past couple days. 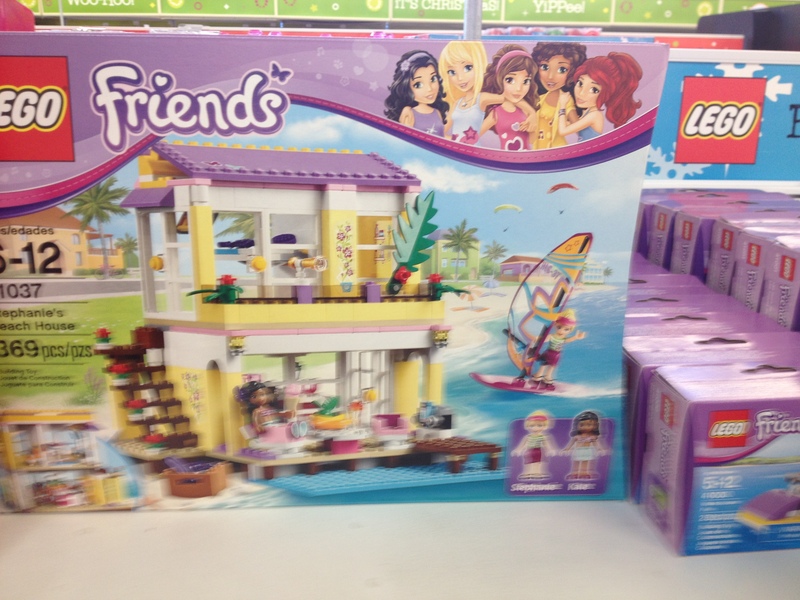 No other 2014 Friends sets though, and no princesses. I saw all of the Princess sets at my local TRU and I saw the Man-bat and new Creator log Cabin at WM. @AFFOL_Shellz_Bellz Thanks for posting that. I was getting ready to call them but now I guess I don't need to. I saw all 3 new Friends sets and the Super Heroes Man-Bat sets a few days ago at one of my local WM...but today....all gone. I don't think they were sold...unless 1 person bought them all (8-10of each). This WM hardly sold anything during the 30%sale during BF. But now they've put the new Ninjago out and clearance Mega Blocks in their spots.